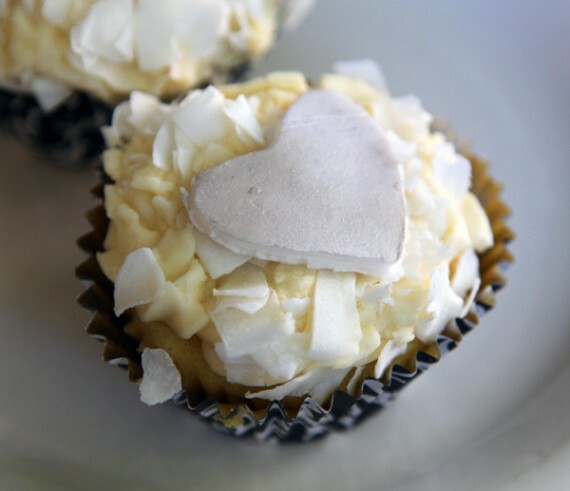 the beautifully-decorated treats are baked by tatiana, and come topped with coconut and cute little hearts made of vegan fondant. 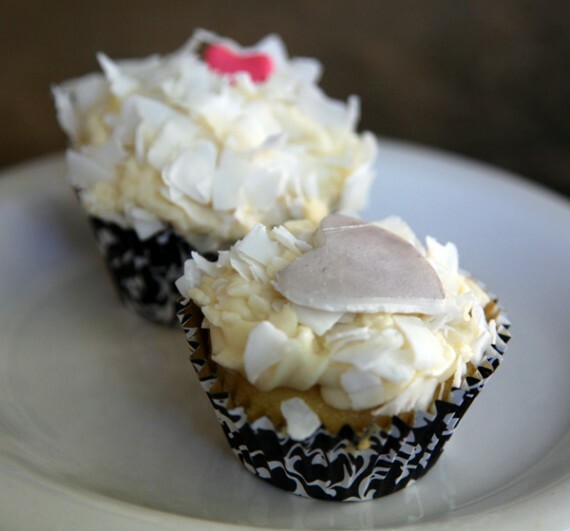 i had a couple and i can say these cupcakes are not just adorable—they taste amazing as well. the chewy sweet fondant is the perfect compliment to all the creamy frosting and moist cake. go eat these up while supplies last—supposedly the next batch of flavors is going to be mexican red velvets! oh, and while you are at the meet market be sure to pick up a vegan bake sale cupcake as well. the popular bakery is sadly on hiatus, and their last available flavors at meet market are red velvet, chocolate peanut butter and green tea. Yay!!! Tatiana. She’s a cupcake baking cupcakes… and they are DELICIOUS! I had one of these over the weekend, and it was so good! One of the best cupcakes I have ever had! They are lusciousness! dahhh! i was there today and saw those but passed for some unknown reason. i love their chicken club sandwich! i got two!! !